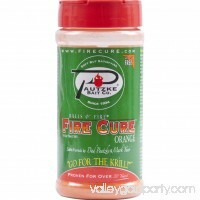 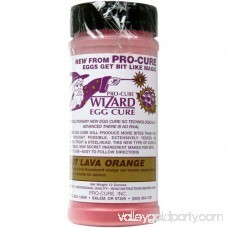 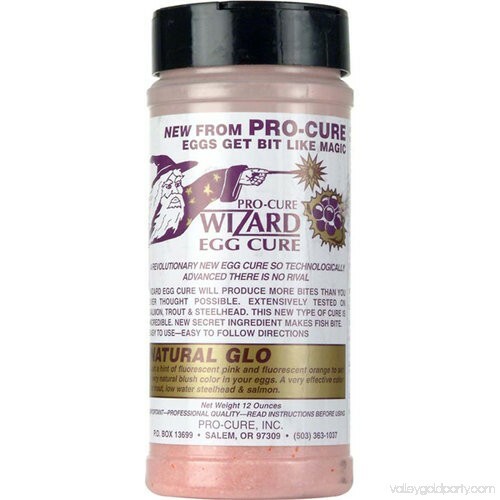 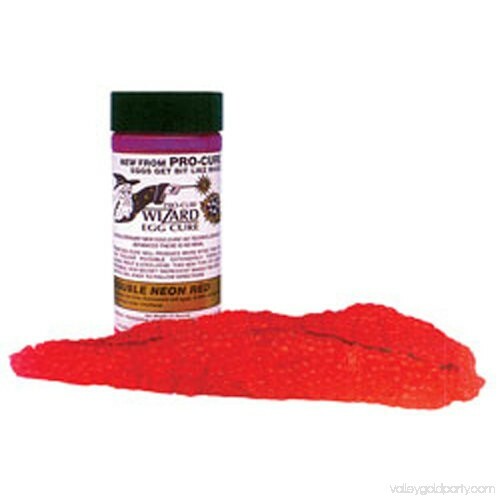 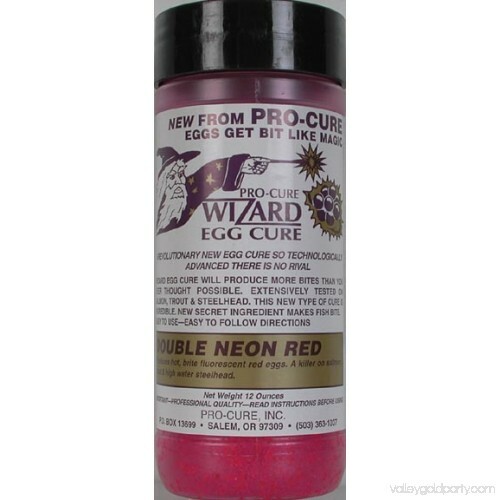 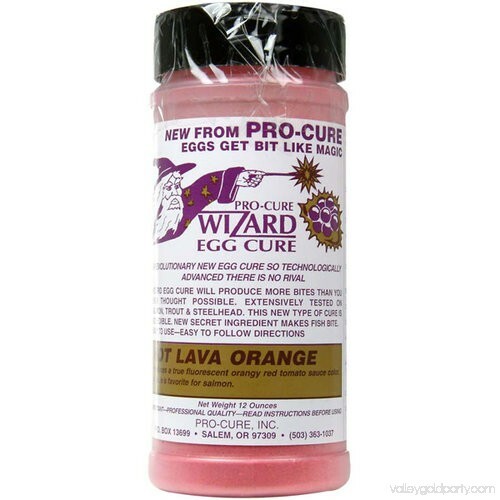 The Pro-Cure Wizard Egg Cure is a totally unique curing formula. 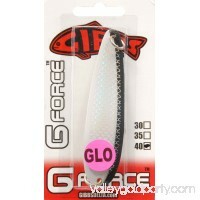 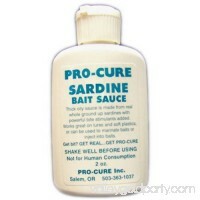 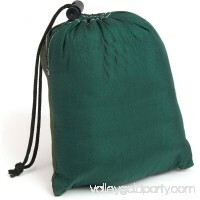 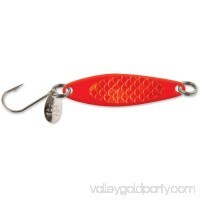 It is loaded with a complex blend of amino acids that get salmon, steelhead and trout to feed aggressively. 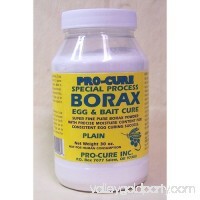 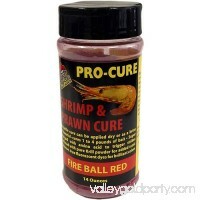 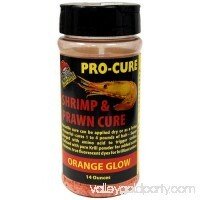 Anglers consistently report outfishing all the other anglers around them using Wizard Egg Cure. 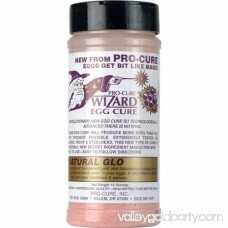 It contains a hint of fluorescent pink and orange to give eggs a natural blush color. 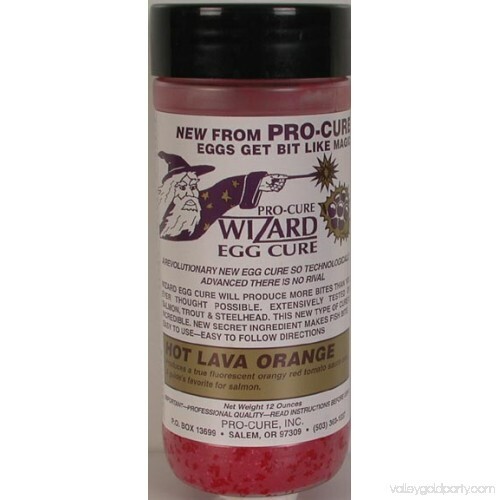 Eggs come out looking like fresh eggs. 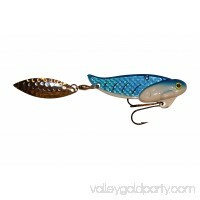 It is very popular in the mid west and east coast for low water winter steelhead, on single eggs and spawn sacks.